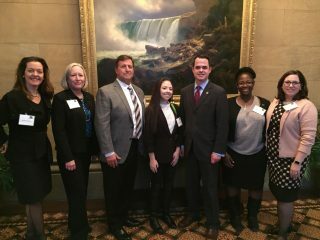 PRESS RELEASE– Earlier today, the New York State Senate passed a bill by Senator David Carlucci (D-Rockland/Westchester) to make the provisions of “Lauren’s Law” permanent. Lauren’s Law was originally passed in 2012 and required applicants for driver’s licenses to complete the organ donor registry section instead leaving it blank. The bill’s chief advocate was Stony Point resident Lauren Shields, who at the time was 12 years old and received a life saving heart transplant. “More than 10,000 New Yorkers are still waiting on transplant lists and we can do more to help them out,” Senator Carlucci stated. “By requiring that driver’s license applicants answer if they would be organ donors or not instead of skipping the section, the pool of donors will naturally expand over time and help save many more lives,” he continued. “Lauren’s effort to make this change was inspirational and I am thankful to have been a part of it. Now we owe the thousands of other people in similar situations the chance to get the same help Lauren did by making her idea permanent,” Carlucci concluded.